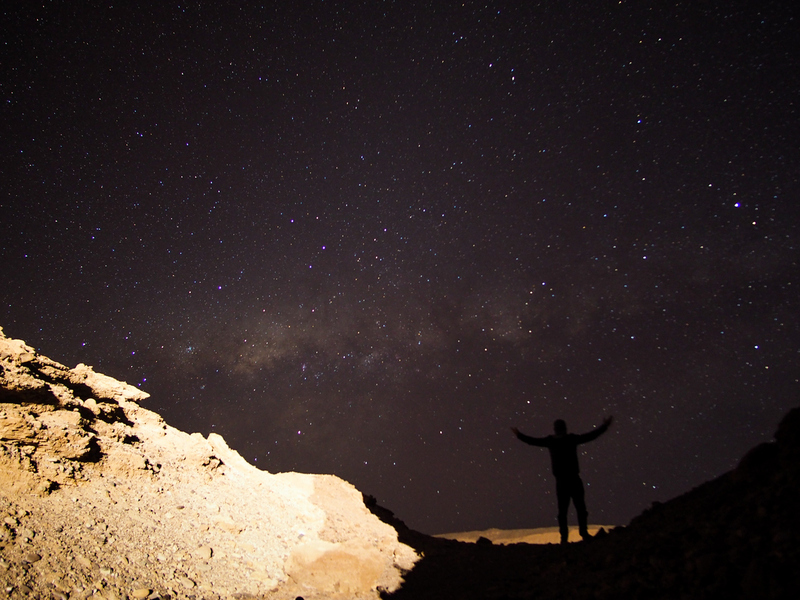 It’s a rare set of circumstances that makes Chile the single greatest place on the planet to look up. High, dry, and unpolluted. These are the ingredients astronomers point to when explaining northern Chile’s extraordinary sky-watching conditions. The ingredients come together at this particular place in the world thanks to extremely limited rainfall, high altitudes, and the lack of nearby light- and air-polluting towns and cities. It’s not dissimilar from how the perfect combination of winds, precipitation, aged barrels, and artistry need to come together to create an unforgettable Chilean Pisco. Thanks to this natural clarity concoction, Chile has become the world’s leading hub for astro-tourism and an increasing number of adventurers and travelers are gaining an appreciation for the way in which travel to Chile unlocks access to the rest of the universe like nowhere else. The setting itself is pretty other-worldly on its own. The red-tinged rock, the smoking geysers, the salt flats, and the crevasses and craters come together to create a rather alien looking landscape. It’s no surprise this part of the world has stood in for distant planets in a number of sci-fi movies over the years. Never mind what you see around you in the daylight, it’s the nighttime when this unusual setting truly shines. Though several high-powered observatories have been built in northern Chile over the years, you don’t need to peer into the powerful antennae or radio using telescopes to appreciate the magic. Your eyes are powerful enough on their own for you to be truly mesmerized. No matter your interest level in astronomy, you really can’t help but be amazed by the southern constellations above you. For those who have never witnessed the northern Chile night sky on one of the 350 dry nights a year, it’s impossible to comprehend just how incredible the scene is. You’ll never see quite anything like it. Truthfully, some people even find the whole thing can be a bit overwhelming as you gain a better sense than ever of our planet’s little place in the universe. Travel has always been able to change your perspective. Either about yourself or the world around you. That’s one of the things we love about exploring Latin America so much. The more you see and experience, the more it all shapes your understanding of the world. In Chile, with that perfect mix of elevation, dehydration, and isolation, it will also shape your understanding of the cosmos. And all you have to do is look up.